At Centro Chiropractic Clinic, our primary concern is providing the easiest path to recovery for every patient, whether you’re suffering pain and anxiety following an auto accident, a work accident, or sports-related injuries. This starts with our caring and talented staff of professionals, including chiropractors and support staff like massage therapists. We’re also pleased to provide additional information on related services patients may need in the wake of a serious accident. We take pride in easing your pain, reducing your stress, and helping you resume a healthy and happy life. With several locations in and around the Portland and Salem areas, we’re pleased to treat patients from Oregon and even Washington. All you have do is call Centro Chiropractic Clinic today at 503-980-4808 to schedule a free consultation, or simply walk into one of our many locations. We offer extended hours for your convenience. If you’re in pain, we’re here to help. The specialists at Centro Chiropractic Clinic understand how hard it can be to live life fully when you’re coping with pain following an auto or other accident. On top of that, many patients are anxious about returning to work and continuing to support their families. Our team of highly trained professionals provide a free consultation to discuss your situation and a course of treatment, as well as answer any questions you may have. We’re even happy to provide you with information about needed support services, such as a qualified law firm. Is the pain and stress of an accident impacting your ability to work? Is it keeping you awake at night, worried about how you’re going to get through? 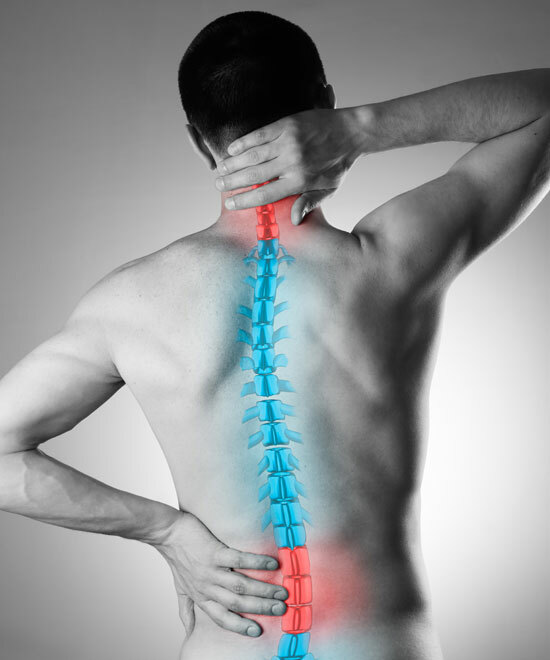 The caring and experienced professionals at Centro Chiropractic Clinic are here to help. Centro Chiropractic Clinic offers a wide variety of healing and pain management services for patients following auto accidents, work accidents, sports injuries, and more. 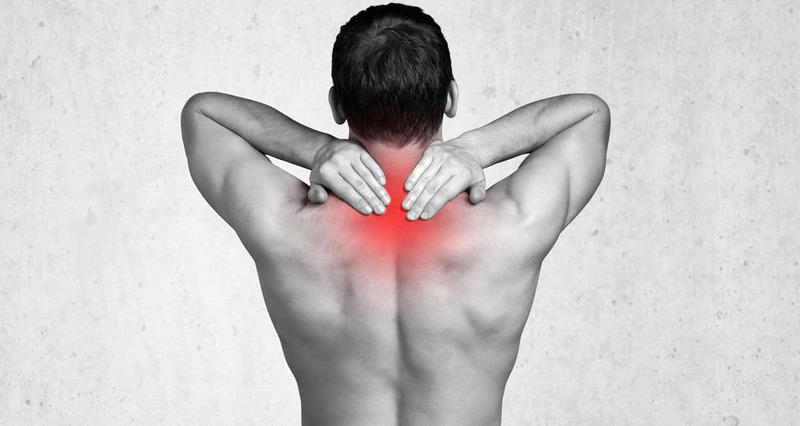 In addition to general chiropractic care, we offer specialized treatment regimens for issues like whiplash, sciatica, spinal decompression, carpal tunnel syndrome, migraines, and more. Our team includes support services such as massage therapy, corrective exercises, lifestyle advice, nutritional counseling, and more, and we’re qualified to take workers compensation cases. With clinics conveniently located in Aloha, Beaverton, Gresham, Hillsboro, McMinnville, Portland, Salem and Woodburn, it’s easy to find a Centro Chiropractic Clinic near you, and our extended hours help to ensure reasonable appointment times for working patients. $0. Out of Pocket on Auto & Work Injuries! * - Restrictions May Apply. Call Us for Info. Hablamos Español ! We believe the secret to our success is to make each one of our patients the center of our attention. We do this by carefully hiring friendly, caring, professional chiropractic physicians, massage therapists, and support staff. Each one of our clinics treats hundreds of people each year that were injured in a car accident, at work, or are suffering from pain and/or discomfort from a personal injury. This is what we do, so rest assured, you are in good hands! Our greatest asset to you is our wonderful staff. New Patients - Receive a Free Consultation With a Chiropractor! Bianca, and Andrea are so nice and sweet I would recommend anyone to come here. And the doctor is very understanding and is helpful when it comes to understanding what is wrong with my condition. He does not push me to do more if I am in pain. I went to Centro about 1.5 yrs. Ago and saw Dr. Prouty and he was great! I am thankful for him and his team in making me feel better. I Came back today and although there is new staff they were all welcoming and attentive. the best clinic I’ve been to! They’re extremely nice and I was very well taken care of. I recommend this to anyone that is in need of good care! I love how everyone made me feel comfortable to be there! Enjoyed coming here, the staff welcomes you as you come in, and treats you as guests. The doctor is friendly and informative. Would definitely recommend to anyone with back problems. I would definitely recommend Centro Chiropractic Clinic after an accident. Both doctors are very good at what they do and very professional. Along with them, the staff are all very friendly and make you feel comfortable while receiving care at their clinic. My experience at this clinic has been a great one. Vero represents the staff very highly with her exceptional customer service skills. Staff is very friendly, helpful & patient. Dr. Kim made the whole process very comfortable. The massage from daisy was amazing as well ! Centro is a really great place to go, my first appointment the Chiropractic assistant Veronica made me feel very comfortable. She was very professional and answered all my questions. Made sure the therapies were comfortable. The doctors and rest of the staff are amazing! Thank you ! This is a really nice place with good vibes always! I really feel better thanks to the excellent service by Dr. Hubbell, Diana, Arielle, Juliza, Adriana and Christy, massages are amazing! I recommend this place to all of you people, they do a great job!! This clinic is the best! Bianca is so caring and makes every patient a priority. She's never to busy to answer any questions. I would always go during "rush hour" and let me tell you, they made sure we all got the treatment we deserved. If they needed to stay late to get every patient treated they would and the best part is they would do it with a smile on their face. Again, best clinic to go to! I went to Centro a while back ago due to being in a car accident. I felt so at home! Bianca was amazing; she was very helpful and knew exactly what she was talking about. She made the process so much easier for me. I always felt so welcomed and was always greeted with a smile. I can tell they all enjoy their job! I would go back to Centro in a heartbeat if I was ever involved in a car accident. Anyone who is looking for a great chiropractor please check them out; I promise you won't be disappointed! I love coming here! I always feel welcomed and they do whatever it takes to make you feel comfortable. The staff is also very nice, including Blanca and Dr Krahler! I’ve had a great experience so far. Super fun team of staff!! It has been a month since I’ve been going and I feel a lot better. They provided me with things to take home and the doctor keeps up with my progress!! If you’re looking for a place to get treated 10/10 highly recommended. Had a nice experience. The staff was friendly. I had severe back pain and had adjustments done. I feel much better now. This was my first chiropractic experience. I am glad that I am not disappointed. The staff is very friendly and always ready to help to understand the problem. Very thoughtful and attentive approach to each patient. Location and work schedule is convenient. A variety of treatments and massages very well help in the recovery. Of course I recommend! All the staff at Centro are wonderful!! Absolutely wonderful! Love being able to get same day appointments. Always feel better after every appointment. Centro is an amazing clinic! Dr. Brennan helped me recover after my car accident and her and her staff are awesome!!! It is a great environment at centro and they made me feel really welcomed and took great care of me! Five Stars! This place is clean, functions smoothly, the staff are kind, polite and accommodating. Dr. Brennan gives excellent adjustments and will go above and beyond to do everything in her power to get your spine feeling better. I have gone from level 9 pain to no pain many times with her attentive help. Highly recommend. Thank you Centro! Great service for a 7 month long treatment after a big truck rollover accident. They are always polite and caring I really like the professional massages everytime they make me relax so much I pass out. Thanks so much guys!! I loved going to Centro Chiropractic because all of the girls (Vanessa, Lexi, Jessica and Laura) always made sure to take care of me. They always worked around my work schedule and made sure to answer any questions I had. Always made sure to help if I had to re schedule to a more accommodating time. The girls are really sweet and never in a rush which is nice. I will definitely be coming back if I ever need anything. Definitely worth to check out. I was being treated at Centro after I suffered a work injury. Bianca was super helpful and made the process easier for me. The staff is all very welcoming and professional. Brenda and Andrea helped my healing process with massage. Dr. Hill was great and very knowledgeable. They all did their best to get me back to where I was before my injury. Since my first visit, I’ve been back due to another work injury and the service was great; like always. If you’re looking for professional and caring staff I recommend Centro in McMinnville. My husband and I have both been seeing Dr. Kim for several years - and to put it plainly, he's the best in the business. Now, with his team at Centro, he's just raised the bar even more.The entire staff at Centro is extremely welcoming, professional, and personable. They've always been extremely accommodating when making/changing/canceling appointments, they're highly communicative and kind, and they have truly made me feel comfortable with bringing my infant son in (some places I would worry about him crying or fussing - but they're so hospitable and make us feel so at-home that I don't even worry if the baby is having one of "those" days - I know we won't be met with anything but kindness and understanding). Dr. Kim himself is all of the above, as well, and is also amazingly thorough in his treatments. My husband works a very physical job, and Dr. Kim always helps to address any injuries, aches, or pains that he experiences as a result. Similarly, Dr. Kim always addresses any/all of my issues as a new mom and recreational boxer/kickboxer - from helping to realign my ribs from constantly toting around a growing (WIGGLY) baby to getting my wrists and ankles ready for my training.We have never left from an appointment thinking "oh, I wish this would have been solved." Everything is always taken care of - and they will make sure of it!On top of the excellent service from the entire team detailed above, they're extremely reasonably priced and generous with their time and treatments - offering more than adjustments, but also heat and massage treatments, as well - and they never try to rush you out the door.I cannot recommend Centro Chiropractic Clinic in Beaverton and Dr. Kim enough - they've had our backs (literally) time and time again and we appreciate everything that they do! My experience at Cento was phenomenal! Front desk Bianca Gabriel was amazing!! She was friendly, helpful and bilingual, exactly what we need. She meet all of are needs from the moment we arrived and helped us have a better understanding of the process and paperwork that was needed. I totally recommend this chiropractic clinic it is has warming atmosphere with great doctor and staff!!! I totally recommend Centro Chiropractic! They were amazing and super friendly. Bianca was very helpful and made me feel like home. Dr. Hill is the best chiropractor I’ve ever been to. The massage therapist Brenda and Andrea are very knowledgeable and helped my healing process speed up. When anyone mentions they’ve been involved in a car accident or just need an adjustment I always recommend Centro! This is such an amazing place to go. The staff are all very kind, personable and efficient. I recommend this place to anybody looking for great care. Since our accident me and my two kids have been very well taken care of. There service is excellent Diana and Arielle are always kind and understanding. I apprieciate the Centro Chiropractic clinic on stark. Good doctor and staff with great health knowledge. Diana is very helpful with all the paperwork involved. Friendly environment from all staff. Massages are great. Ariel is very patient while helping you with exercises to regain your strength after your injuries. They are also very flexible with scheduling . I would highly reccomend to anyone. Nice and friendly staff. Always smiling and ready to help you feel better. Doctor, Massage theparists and the rest of the associates do an amazing job taking care of you and your needs. I always recommend my friends and family to come here if they have being injured in a car accident because I know they will get an amazing treatment. The staff here is very friendly, they are always very attentive to your needs. I’m very happy so far with the service. Everyone at the center is very caring and friendly. They’ve been very flexible with my work schedule wich is Great. Always a friendly warm welcome from the staff.Anna front receptionist is very helpful.Luz the massage therapist, just does an outstanding job.,The Dr. Is very knowledgeable and I am getting good treatment.I have been coming to this Chiropractic center for three months since my accident.I am very happy I found them.I recommend it to anyone for physical treatmentThanks so much. Increadable staff that makes you feel comfortable and in good hands literally. They're very understanding and considerate. They know people have lives, so they are very flexible with scheduling. I would recommend them to anyone! Great service love Arely she's a new CA but she def is hard working and it shows and the service is great the front desk staff is amazing! Very welcoming as I walk in and they welcome you every time with amazing spirits. Really good team! Came in after suffering from an accident. The staff is really friendly and genuine. Got helped by Jessica over at the front desk who is always ready to welcome you in and get to your appointment. Then, Laura always so patient and ready to help with your therapy and mentally prepare you for a massage. My massage therapist, Vanessa was very skilled. My back pain was relief in a relatively fast manner. Very thankful to the Centro staff and Doctor for all of their help. Would highly recommend! I really like how there is good service. Everything here is great. I am a patient here and recommend this. A really great place for physical therapy and massages. I have been healing well thanks to the service here. Lexi, Laura, and Jessica are some of the few attendants that do a great job. Like I said, however, it is a really good place and would recommend to anyone for physical therapy and massages. After a bad accident I went to Centro chiropractic Clinic. I am happy I did because I received immediate attention. Both doctors are highly competent and are great at what they do. They know exactly how to treat my injuries. I can now say I have made great progress in my recovery. I am very grateful to the doctors, massage therapists, and receptionist. They all played an important part In my recovery. I definitely recommend to anyone who has been involved in an accident. I just went and saw Doctor Ahm and he was fantastic to work with. He is very knowledgeable in his field and had an answer for all my questions. I injured my back a day before and walked out of there already feeling better. The treatment he provided was thorough and you could tell he takes pride in what he does. He also provided me with exercises to help strengthen the area that I can do at home to help my recovery. Would definitely recommend him to anyone that has an injury or needs any adjustments done! I would recommend Centro Aloha to all that need chiropractic type service. The staff is very helpful and personable. Five stars service in my book! We often find it helpful to "coach" our patients towards achieving a healthier lifestyle. Through Corrective Exercises, Lifestyle Advice, Nutritional Counseling or Spine & Postural Screenings, the goal of including lifestyle advice with a chiropractic care plan is to help each and every patient achieve the fulfilling and happy lifestyle they deserve, one that is full of the activities that are enjoyed most. We recognize that every single one of our patients is a whole person, and we use our expertise to help them reach total health and wellness. You can trust that when you enter one of our clinics, our primary mission is your health and comfort. We are honored that you chose Centro Chiropractic Clinic as an integral part of your path to recovery, and hope that you find our reception area and staff warm and welcoming. Each of our seven locations is equipped with the latest chiropractic and physical therapy technology, and is managed only by the best in our industry. At Centro Chiropractic we know that you will have many questions upon your first visit. We hope that you will take some time to read through our Chiropractic Facts and familiarize yourself with our website, to better understand the services that we provide. In addition, we are happy to offer the following resources to help make your first visit as comfortable as possible. Accidents and injuries can happen on the job all too often. From incidents involving heavy machinery and serious hazards to hand, arm, wrist and back pain from long-term desk and computer work. Simply put our bodies can be in jeopardy at work. Sometimes a slip, fall, or strain can lead to immediate acute pain or may slowly build into progressive discomfort over time. With most people spending the majority of their waking hours on the job, it’s important that the bases are covered to ensure sustained health and safety, and to compensate for when accidents and injuries do happen. Before and throughout the scheduling and treatment process, the staff at Centro Chiropractic Clinic will navigate the reporting, billing, and any reimbursement involved in your particular claim. We provide the most comprehensive chiropractic therapy for Worker’s Compensation in the Portland area and will make sure you receive an effective and efficient treatment plan for your particular injury and circumstance. Do you have questions regarding your options after a work-related injury? Call our friendly staff at Centro Chiropractic Clinic today to discuss your options and the next steps you can take. We look forward to seeing you in our office to plan out a therapeutic treatment plan that will bring you the greatest level of comfort, healing, and peace of mind. $0. Out of Pocket on Auto & Work Injuries! * - Restrictions May Apply. Call Us for Info ~ 503-980-4808 ~ Hablamos Español !